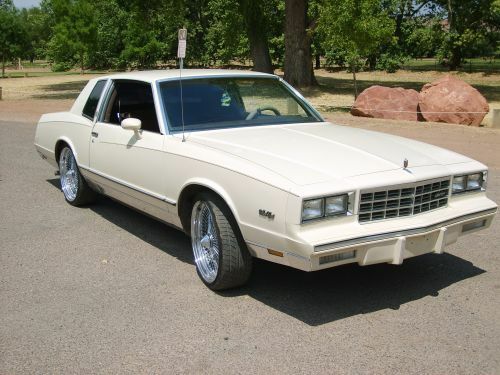 After twelve years of being discontinued the SS was finally an option once again on the 1983 Monte Carlo in order to boost sales of the car. The SS model featured European body colored coding, a new front fascia, a rear spoiler, and a high-lift cam V8 with dual exhaust. Also included were special SS badges, a small rear spoiler, and stiffer suspension. Available SS colors were white or dark metallic blue. For the regular model there weren’t many changes from the 1982 model. The grille was revised and the interior trim patterns were changed.